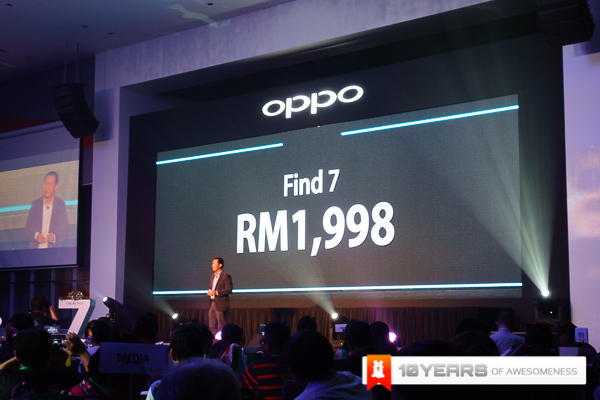 Oppo Malaysia has just launched its two new smartphones, the Find 7a and the flagship Find 7. 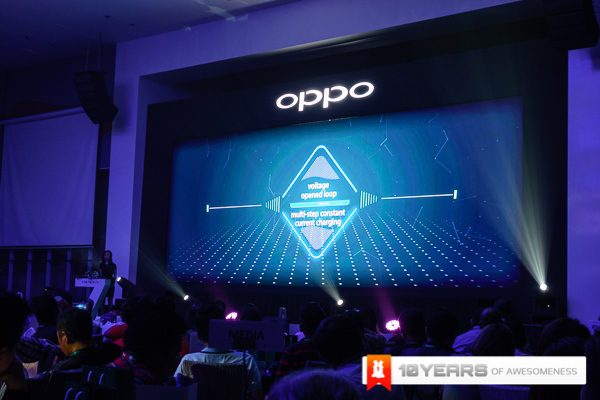 These smartphones sport very powerful hardware, great industrial design and best of all, retails from only RM1598. 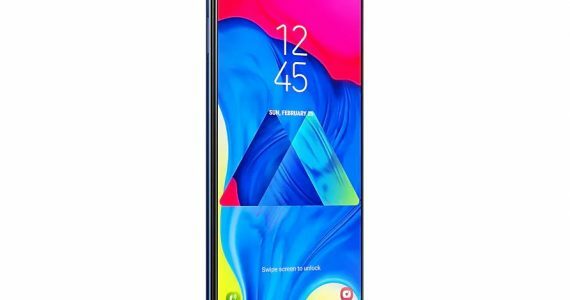 The Find 7a is powered by a Qualcomm Snapdragon 800 2.3GHz quad-core processor with 2GB of RAM, and features a 5.5-inch Full HD IPS display, 16GB of expandable storage, 13MP f/2.0 rear and 5MP front-facing cameras, 2800mAh battery with Rapid Charge technology, 4K recording, MaxxAudio Enhancement Suite, and of course, LTE support. 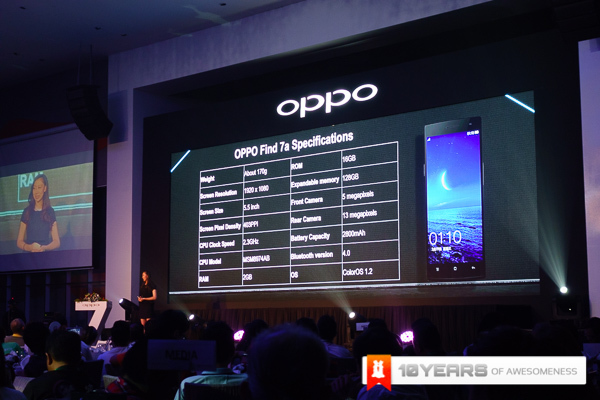 The Find 7, on the other hand, is the more premium of the two. 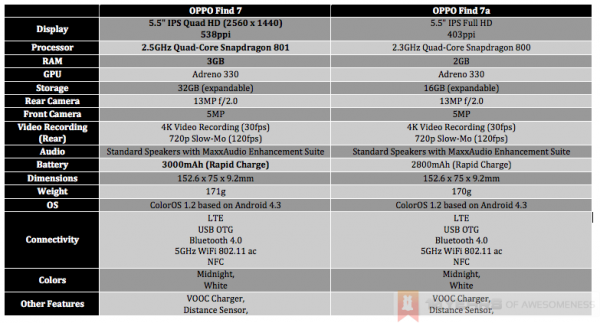 Essentially the same as the Find 7a, the Find 7 sports five main differences in hardware, namely a 2.5GHz Snapdragon 801 processor with 3GB of RAM, 32GB of expandable storage, 3000mAh Rapid Charge battery and of course, the super sharp 5.5-inch Quad HD (2560 x 1440) IPS display. 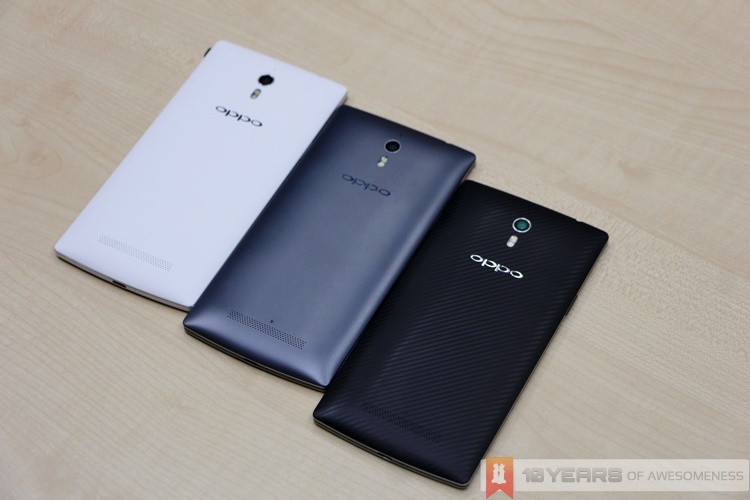 Both the Find 7 and Find 7a will run on ColorOS 1.2, which is based on Android 4.3. 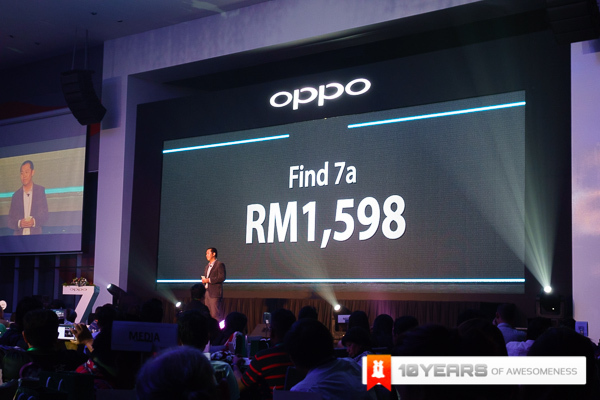 The Find 7a will be available in Malaysia from May 15th and will retail at RM1,598, while the Find 7 will be priced at RM1998. 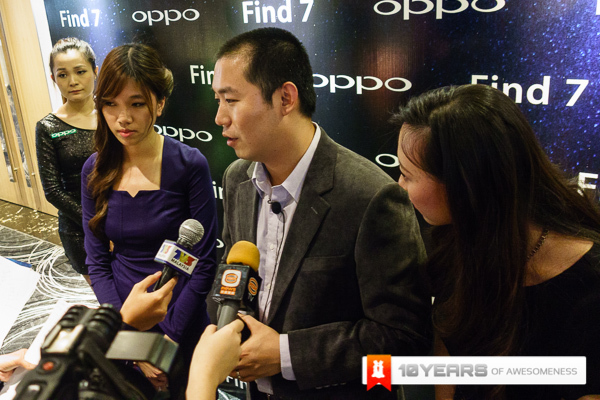 Oppo Malaysia has gone on record to say that the Find 7 will be coming in Malaysia by the end of June. 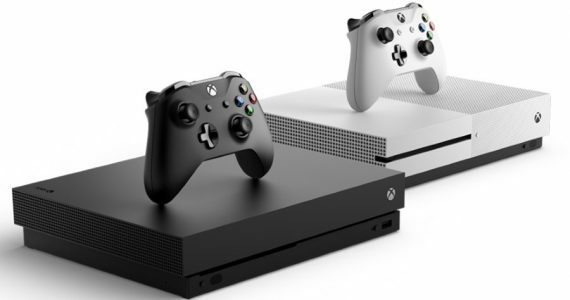 For more information of the two devices, head on to our hands-on post here.